This quote can be found in the “Letters from Ramanasramam” ~13th August, 1946. In this simple comment made in the conversation, Bhagavan teaches us that intelligent and reflective aspirants focus their energy in scanning their own mind and consciousness. It is only by carefully examining the mind, one realizes the ultimate nature of perception. Bhagavan used to say that all deep thinking people are fascinated by the nature of consciousness. This, of course, makes perfect sense. Since the whole universe is perceived via consciousness, to turn inwardly and examine the source of consciousness is the way to the Heart of all things. Sri Ramana’s teachings are independent of religion and theology. Bhgavan says, “There is nothing but the Self. To inhere in the Self is the thing. Never mind the mind. If its source is sought, it will vanish leaving the Self unaffected.” – Bhagavan in Talk 97. 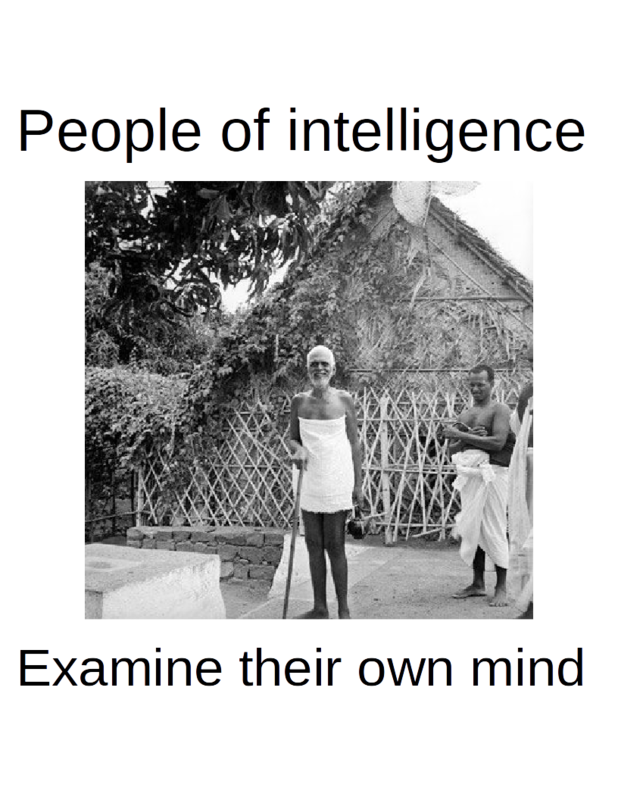 Profound post….Bhagavan Ramana on how to use our innate intelligence, first and foremost, to examine our own minds…do this and the inner journey really takes off! Thanks for a great share, Harsh Luthar.